Skin is not just one colour. Our bodies are made of 60-70% water - water reflects! Our skin absorbs light from it's surroundings and reflects it back. So, skin will emit the colours of it's environment - a melody of hues. You could almost think of the water in our cells acting like prisms. So, there are a rainbow colors in the skin. Skin isn't perfectly smooth either. It is porous - like tiny pits of light. It has texture. There are small hairs that also absorb and bounce light. It's is not good to depict every detail though - especially on females characters as this will make a person look older and make the picture unappealing. Softness is femminine. The face is just a part of the whole painting - don't lose sight of the overall impression. For a starting point, use a light beige for the base of the skin. Eyes - where the skin is thinner will have a slightly bluer/violet hue to them from the blood just below the surface. Forehead - usually has a more yellow. Nose - will have more red and pink. Chin - might have slightly green shadows. - kind of like the sun setting over the horizon. This warm and cool will also be in relation to each other - like a sliding scale. Trick! Hot purple and Sallow yellow can be either hot or cold! These are the only two colours on the colour wheel with this ability, since they border the edges between the two sides. Usually, when outside skin will have warm shadows and cold highlights. Inside the shadows will be colder. This will also change with the time of day: morning, mid-afternoon or evening. Cool to hot to cooler. My skin is Translucent - not to be confused with Porcelain Porcelain is opaque - like a china plate. Translucent means see through - so the blood beneath can be seen. My face changes colours like a Mood Stone. Not as pretty as might be expected. 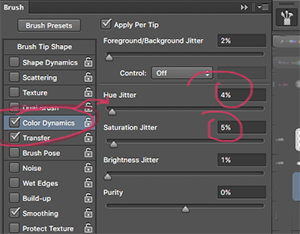 A good trick to play with color variance it to go into the brush control panel (Command+5) in Photoshop, and under the Color Dynamics tab, adjust the Hue Jitter. But, only slightly, to avoid colors going to far out of wack. A scattered brush works best with this as it adds texture at the same time. 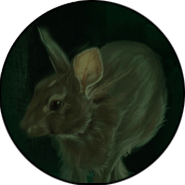 The opacity of the layer and also be lowered to reduce the harshness of the effect and you can pass over it with a blender brush/Airbrush or Smudge Tool to even out the skin tones. If you find your colours become dull after blending - try using different blend modes. Try: Softlight, Screen or Linear Dodge. For Shadows try: Overlay or Multiply ~ Never use Black in the shadows - there should always be some hue. Or, maybe start with richer colours in the beginning. Subsurface Scattering is when light passes through a transparent object. Some of the light - instead of being reflected back, will be absorbed by the object and scatter around inside. Some of this bounced light, will then escape and make it way be to observing eyes. Think of the light shining through leaves. This is most apparent in the finger tips where the blood pools. Think of hands cupping a candle or shielding a match. Another example would be the inside of a cat's ears when basking in the setting sun. Secret! 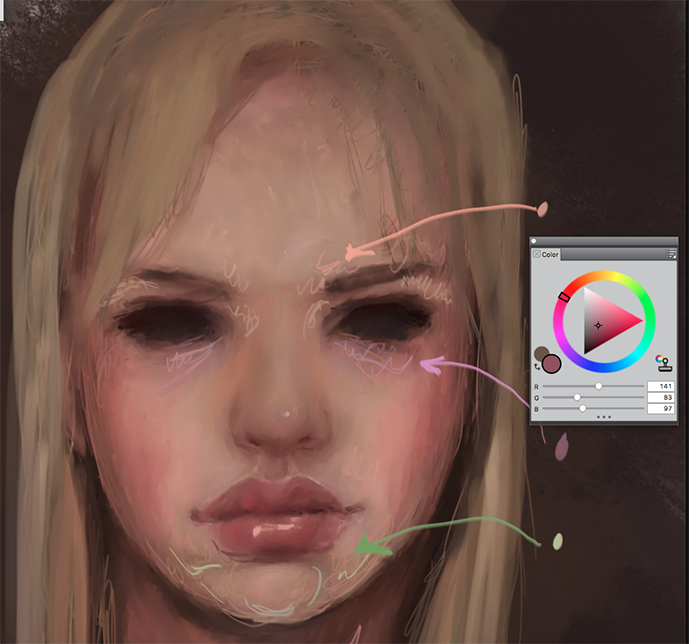 You can use any colour you want for skin - as long as your values or tones are right - it will look realistic. So, be creative!